Christiana is a transdisciplinary researcher at i-DAT. Her research explores the ‘Re-invention of transdisciplinary curating: mapping global digital engagement through applied data visualisations & interactive infographics for art & science projects’. She also examines the globalisation of digital engagement through geopolitics of technology, social innovation: the holistic integration of complex human & social systems through the creation of cyber communities; the conception of novel models for transdisciplinary curating and alternative vocabularies of interpretation. Her PhD research is currently funded through the 3D3 Centre for Doctoral Training. 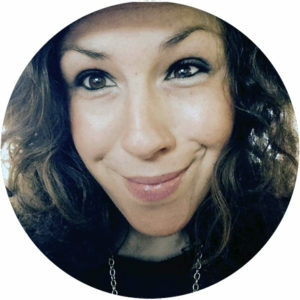 Christiana is also a transdisciplinary curator, multidisciplinary artist, creative consultant and cultural producer with a great passion for interdisciplinarity & innovation. Driven by novel ideas and concepts; she found herself working for numerous innovative companies, networks, festivals, cultural organisations, NGO’s and social enterprises such as BOZAR Lab, Gluon, Athens Science Festival, Athens Digital Arts Festival, Green Project, Vinyl Factory, the Longplayer Trust, Business of Culture Ltd (consultancy), MARCEL Network, the Future Cinema & LEONARDO I ISAT. In 2014 she was appointed the 1st art & science curator for the Athens Science Festival where she acts as programme manager, curator and producer for interdisciplinary programmes. The Athens Science Festival is organized annually by the educational organisation “Science Communication – SciCo”, the British Council, the Technopolis of the City of Athens, the Onassis Foundation Scholars’ Association and the General Secretariat for Research and Technology with the invaluable contribution from a plethora of academics, research and educational institutions. Her curatorial portfolio includes multimedia project ‘Vanishing Entities’ for the London Science Festival featuring the practises of artists and scientists & artistic mediums (performance lectures, dance, science, performance art, live art, film projections, participatory and interactive installations). Furthermore, she is the digital curator (research & development) for MARCEL Network: a permanent very high band-width network dedicated to artistic, educational and cultural experimentation, exchange between art and science and collaboration between art and industry. In 2017 she was appointed as associate curator for the Athens Digital Arts Festival; organising a series of cultural talks and workshops for all ages. Other projects include ‘The Muses Project’; a dialogue between art and science organised at the Cypriot Embassy & the A.G. Leventis Foundation Scholars Association as well as academic projects in collaboration with the Oxford University Anatomical Neuropharmacology Department and Central Saint Martins. She is also curating an art and science educational programme in collaboration with EY Sailing; a thematic sailing company based in Greece on ‘The Art of Mapping Emotions, Soundscapes Art Residency and Sustainable Photography’ in collaboration with NGO Green Project followed by an exhibition at the Michael Cacoyannis Foundation in Athens. Her last curatorial project was the solo exhibition ‘Limited Souls’ at the Vyzantine Museum in Naxos Island by Dr Ioannis Michaloudis; a visual artist, academic and researcher internationally acknowledged as one of the leaders in Art and Science and the first ever creator and investigator on the application of the NASA’s nanomaterial silica aerogel in Visual Arts, Design and Architecture. Christiana’s curatorial practice explores interdisciplinarity with an emphasis on art and science. She perceives her role as a curator/programmer to be an active part of the community that communicates concepts to wider audiences. Her curatorial practice explores the performativity of exhibition displays, audience participation and interaction, immersive & sensory environments, art – science and performance, collaborative and alternative processes of interpretation through new media. Christiana is also an independent arts professional; and prior starting her research; she was the project manager for the innovative and interdisciplinary projects for BOZAR Lab, Brussels. She also produced the ‘A.I. between humour, fear & utopia’ exhibition at the CCA (Contemporary Center of Architecture) in Montreal, presentations & projects for the Media Art & Art Market Initiative at Ars Electronica 2017 & the ‘Scientist in Residence’ program, initiated by Gluon: platform for art, science and technology in collaboration with BOZAR, Ars Electronica and the Serpentine Galleries. In the summer of 2018 she conducted research and development for a monthly journey in Australia: ‘Renewables, Biospheres and Aborigines’ on behalf of NGO Green Project supported by the Ministry of Foreign Affairs, UNESCO and Goulandris Museum. The NGO tries to raise awareness on the importance of culture for the conservation of biodiversity and sustainable use of environmental resources. Its aim is to create a platform where technology innovation and traditional knowledge will find a place to interact, a hub where ideas can be exchanged in order to achieve a future worth living. Christiana is currently working on the global outreach & social media management of the Laser Talks initiative, organised by Leonardo I ISAT Journal. Following her studies on Art & Science (MA) at Central Saint Martins; she attended several professional development courses on ‘Digital Curation’ at the UCL & ‘Innovative Curating, Curating New Media Art – Web based art & Curating Art & Science’ at the Node Center of Curatorial Studies in Berlin. Her multi-disciplinary academic record also includes Mathematical Sciences (FD), Financial Economics (BSc), Arts Management (MA) and Creative Writing & Practical Journalism (Dip) at Goldsmiths, University of London. She is a member of the AA (Architectural Association), Museums Association & ASCI (Art & Science Collaborations).